Last year, the states of Andhra Pradesh, Telangana and Maharashtra celebrated Godavari Pushkaralu in a grand way. This year (2016) once again, the govts of Andhra Pradesh and Telangana are making all the necessary arrangements for the grand celebrations of Krishna Pushkaralu. Pushkaram of River Krishna is celebrated once in every 12 years when Brihaspati (Jupiter) enters the zodiac sign of Virgo i.e Kanya rasi. Though the planet remains in the zodiac sign for the entire year, the 1st 12 continuous days are very important and celebrated in a grand way as Pushkaralu of the river. River Krishna is the fourth largest river in India. The river is also known by the names of Krishnaveni / Krishnamma. It flows in the states of Maharashtra, Karnataka, Andhra Pradesh and Telangana. The river originates near Mahabaleswar in the Western Ghats of Maharashtra. It flows through Karnataka, Telangana and Andhra Pradesh and finally flows into Bay of Bengal (sea) at a place called Hamasaladeevi near Koduru in Andhra Pradesh. It forms one of the most fertile deltas of India before it empties into the sea. Bhima and Tungabhandra are the major tributaries of Krishna. The govt of Andhra Pradesh has announced the dates for Krishna Pushkaralu. It has started making elaborate arrangements for celebrating the festival in the grandest way at various places where river Krishna flows. 12th August 2016 to 23rd August 2016. 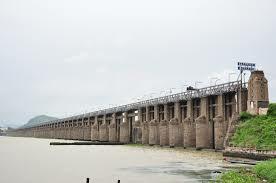 Vijayawada is the main / important place for Pushkaram celebrations. The other places where celebrations take place are Guntur, Krishna, Prakasam and Karnool. The govt has constructed several Pushkar ghats at various places on the banks of River Krishna for the convenience of the pilgrims. They can take holy dips and perform rituals / pushkar poojas at these ghats. Indian Railways will be running special trains for the convenience of the pilgrims. Siva and Narasimha Swamy temple at Vadapally. For the convenience of the self and for the convenience of others, pilgrims should take holy dip at specially arranged Pushkar Ghats only. The govt is making all the necessary arrangements for the convenience of the pilgrims and has also arranged online booking for Pushkara Poojalu and rituals. Durga Ghat near Kanaka Durga Temple, is the most important Pushkar Ghat. For your safety, do take holy dips at the govt arranged Pushkar ghats only. Strictly follow lines / queues to ghat areas and avoid pushing when it is heavily crowded. This might take some time to reach the ghat but will avoid unnecessary crowding or stampede. Stay safe at crowded places and also let other pilgrims too be safe. 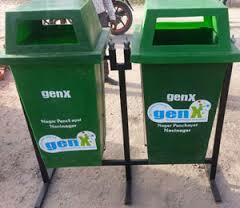 For health and hygiene, do not throw the pooja materials and wastes / garbage in the surroundings or in the river water. Use dustbins arranged by the govts and help the govt workers to carry out their work smoothly in keeping the surroundings clean for you. Do not pollute the river water while having holy dip in River Krishna. Strictly abide by the rules of the govt for a safe and successful Pushkara celebrations. Do not get carried away by superstitious beliefs told by the fake people. Remember that it is sincere devotion to Mother Krishna which is more important than unnecessary rituals. Enjoy a safe Krishna Pushkaram. 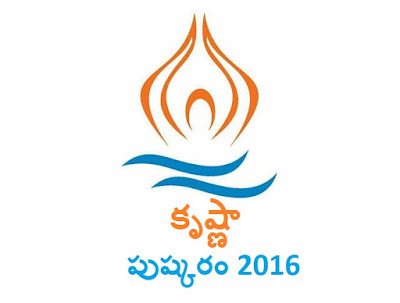 Also read about Telangana Krishna Pushkaralu - 2016.